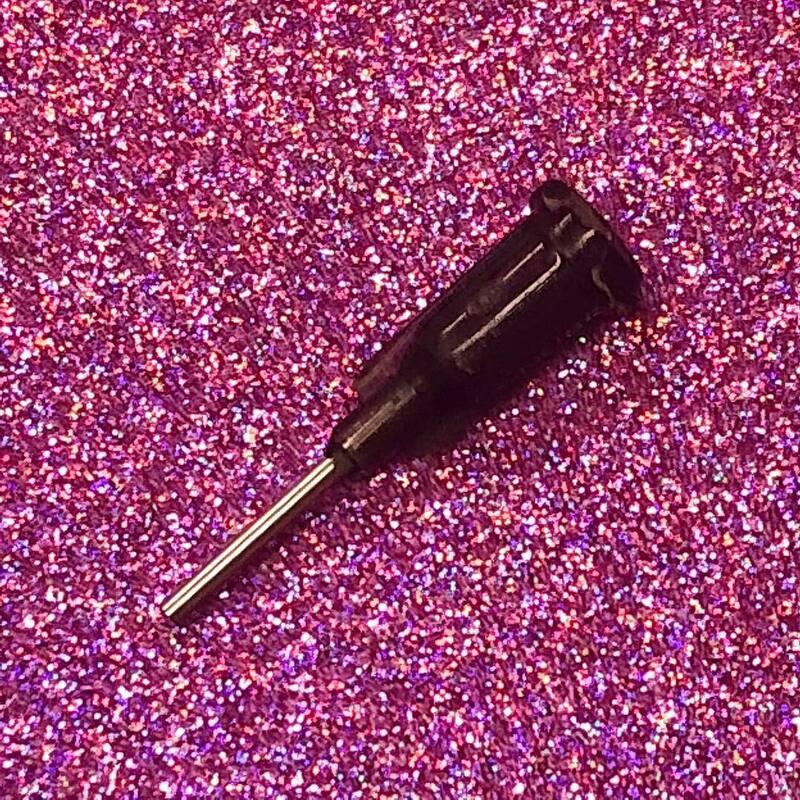 Dispensing Tip for Syringe 16 gauge for medium thick glues . Dispensing Tip for Syringe, 16 gauge (for medium/thick glues). 16 gauge blunt neede tip for applying adhesives. (Syringes sold seperately). The 16 gauge tip is the recommened size for use with medium to thick adhesives. As recommended by the Crystal Ninja herself, award winning master designer Kellie DeFries.